Predicting the continued growth of the radio frequency identification (RFID) market, systems integrator to host Feb. 11 webinar, "Bringing RFID to Asset Management"
BALTIMORE - Jan. 27, 2016 - PRLog -- Barcoding, Inc., a leader in supply chain efficiency, accuracy, and connectivity, predicts the continued growth of the radio frequency identification (RFID) market in 2016. With increased standards, lower system costs, greater solution reliability and higher adoption rates, RFID is poised for an explosive year, according to Barcoding experts. The company will highlight the technology and one of its key applications in the free webinar, "Bringing RFID to Asset Management," scheduled for 1 p.m. ET on Thursday, Feb. 11. 1. RAIN RFID: The RFID industry has coined a new name for passive, ultra-high frequency (UHF) RFID: RAIN RFID. Promoted by the RAIN RFID Alliance, a global organization, RAIN RFID is catching on – although the technology behind it remains the same. 2. Low-energy Bluetooth Tags: A growing number of industries are using low-energy Bluetooth tags in place of active/Wi-Fi RFID tags. These tags are much less expensive than active tags and are easy to deploy, as many users already rely on Bluetooth-enabled devices within their enterprises, like smartphones. 3. Hybrid RFID systems: Systems that utilize both active RFID (for tracking high-value, large items in real time) and RAIN RFID (for tracking large-volume, low-cost items), are becoming more prevalent, especially in the industrial and healthcare spaces. In many of these cases, low-energy Bluetooth tags will take the place of active tags. 4. 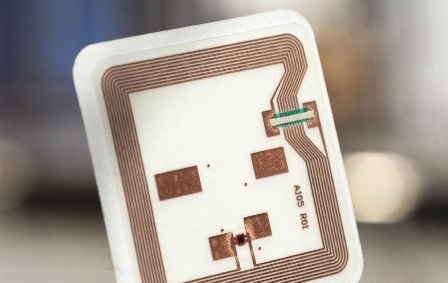 Use of Memory Space: RFID tags now have the space to store information beyond a simple identifier. More enterprises are taking advantage of this, utilizing tags as a notepad or flash drive. Plus, there is no need to upload the information to a database in order to retrieve it. 5. Pre-printed Tags: The technology exists to print and encode RFID labels on demand. But, instead of printing their own labels, many users are purchasing pre-printed/pre-encoded labels. This approach is not only cost effective, but frees up personnel from monitoring and managing printers onsite. RFID by Barcoding is a dedicated practice for the design, development, implementation, and advancement of Radio Frequency Identification Technology (RFID). Our experts have been involved with the practical implementation of RFID technology for over 200 companies in industries ranging from manufacturing and distribution to healthcare, government, and education. Our mission is to empower our clients to achieve greater visibility in their business through the use of RFID technology. Barcoding, Inc. is a systems integrator specializing in the development, deployment, and management of enterprise-wide solutions that drive efficiency, accuracy, and connectivity. With dedicated practices in Supply Chain Architecture, Automatic Identification (AIDC), Radio Frequency Identification (RFID), Consumables, Software, and Professionals Services, Barcoding impacts tens of thousands of organizations in a wide range of industries by increasing revenue, reducing operational costs, and improving customer experiences. Founded in 1998, Barcoding is headquartered in Baltimore, Maryland, with offices across the United States. For more information, visit http://www.barcoding.com.